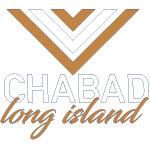 Chabad Center for Jewish Life is dedicated to strengthening the Jewish communities of Merrick, Bellmore & Wantagh through a wide variety of educational programs and social services, catering to Jews of all ages and walks of life. Chabad offers a the full-day Jewish preschool and daycare for children ages 1-4. They also have a summer camp for children ages 1-9 years old; and a Hebrew school for chidlren in K-7th grade. They also offer adult education classes and holiday programming. In October, 2012, Chabad launched the Circle of Hope-a program which provides awareness, emotional support and hands-on help to individuals and their families coping with breast cancer and other illnesses. The Circle of Hope offers a wig bank and weekly support groups for those going through cancer. In addition, they offer monthly cooking programs where local teens come together and cook meals which are then distributed to those who need it most. In December, 2011, they purchased a 25,000 square-foot campus which currently houses its growing preschool, Hebrew school, summer camp and state of the art Mikvah, which opened in June of 2017. Chabad Center for Jewish Life looks forward to even more growth and excitement in the years to come!